Ken Anderson, M.D., the only Hair Restoration Surgeon in Georgia to offer the ARTAS Robotic Hair Transplant System, was interviewed for his expertise on eHealth Radio Network to discuss Robotic Hair Restoration. The podcast interviews Dr. Anderson, an expert in the Hair Restoration Surgery field, specializing in robotic hair restoration. Some of the topics covered in the podcast include: what causes hair loss, misconceptions of hair restoration, and differences between ARTAS Robotic Hair System and the NeoGraft device. Dr. Anderson has brought his years of training and hands-on expertise to the podcast, providing listeners with insight from a medical professional about hair restoration and the importance of choosing qualified a qualified surgeon at a dedicated hair restoration practice. 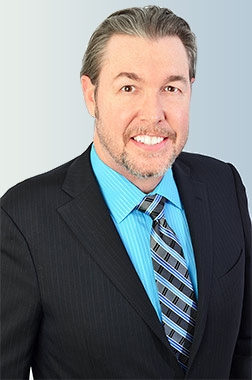 Dr. Anderson is the Founder and Director of the Anderson Hair Sciences Center in Atlanta, GA. Dr. Anderson is a double-board certified facial plastic surgeon who has been practicing hair restoration surgery exclusively since 2003. To download and listen to the eHealth Radio Network podcast featuring Dr. Anderson, click here. Led by Hair Transplant Surgeon Dr. Ken Anderson, MD, ABFPRS, ABOTO, the Anderson Hair Sciences Center is committed to providing high-quality care to patients who suffer with hair loss through outstanding personal attention and individualized care to meet your specific and unique needs. With over 12 years of specialized experience in hair restoration, the highly-trained and caring staff will make sure that you are comfortable and well attended to on your procedure day. Offering exclusively hair restoration and hair transplant services, you can be sure to receive the best care at Anderson Hair Sciences Center. To learn more about Dr. Ken Anderson, Robotic Hair Restoration or Hair Restoration Surgery, call 404-256-4247 or visit www.atlantahairsurgeon.com.